Discussion in 'Transformers Toy Discussion' started by OldsCut78, Mar 10, 2008. 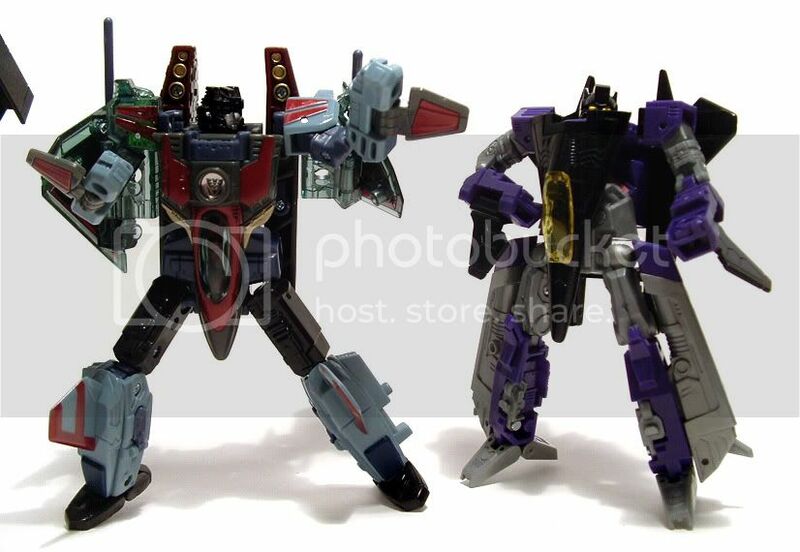 I don't own either one, but from what I've heard, the only similarity between the two is that they're both jets and have identical transformations. The transformations aren't exactly identical, but they are very similar. Anything you might have heard about Starscream being a remould was a lie. They're very similar in design, but are definelty not the same mold, nor share any of the same parts. I have both - I'll take comparison pics tonight. They transform the same, but many of the parts are moulded differently. As you can see, they're similar in size, and share an almost identical transformation, but that's pretty much where the similarities end. Energon SS wouldn't fit in BB/Dreadwing at all. He's too thick and blocky compared to the G2 Smokejumper mold. i had Dreadwing and i loved him. than my friend dropped it down the stars. it was cool cus it transformed into a tank a stealth bomber and a robot and came with another jet that connected to it. oh ya and the Gatling gun thing. Yeah they are similar in design but both completely different moulds. 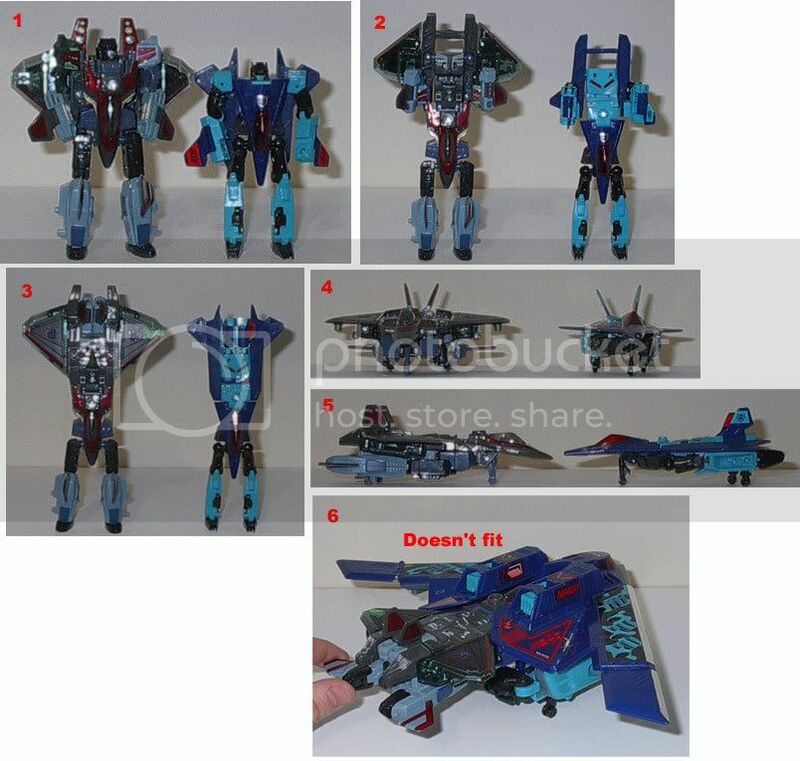 Energon Starscream will not fit into the back of Dreadwing/wind/BB, there is however a fan made alternate transformations for Mirage that looks lot like Dreadwing/wing/BB and can accommodate Energon Starscream. Smokescreen has a much sleeker jet mode, and better articulation(its not as hindered as Starscream). Overall, I like Smokescreen a lot better. Smokescreen is rather fragile- his joints wear easily, and my childhood G2 Smokescreen figure was loved to death to the point where it was but a pile of parts. It's the opposite in my case. I bought a loose G2 Dreadwing and Smokescreen back in 2002, both have solid joints still, and the En. Screamer had his elbow joints loose and the hip joints somewhat loose, just after a few transformations and posings.